Did you love to read ghost stories as a child? Do you remember how frightened they made you feel? 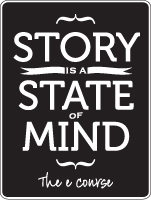 When you think of those stories, what stands out for you?